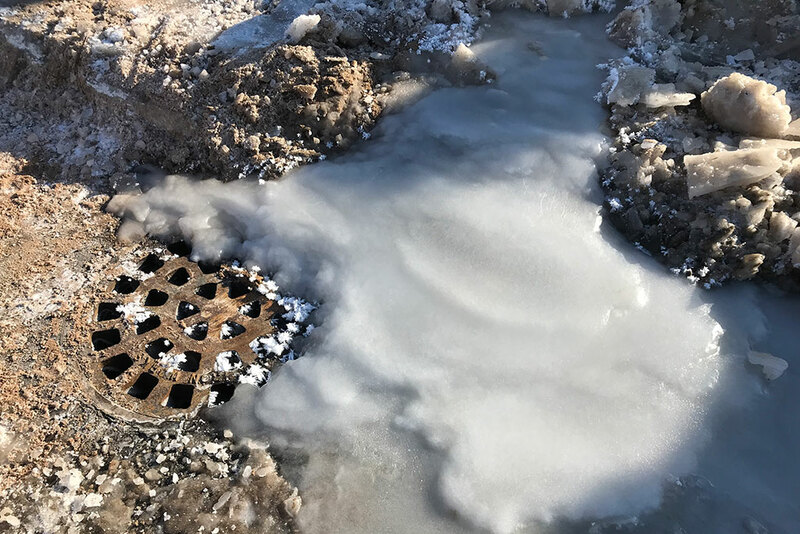 Water Wastewater Superintendent Jeff Lampi said they avoided losing pressure in the water system by asking residents to limit water usage and increasing the amount of water produced at the plant. “When I got to the plant at about 5:30 a.m., we were running at about 3 million gallons. We were able to increase that to over 6 million gallons. The majority of that water was going out into the street,” Lampi said. The city monitored the pressure and usage at OSF St. Francis Hospital to gauge how they were keeping up on water supply. Escanaba City Manager Patrick Jordan credits the city crews who were able to find the break and fix it despite the extremely cold weather. Flooding was first reported at 5 a.m. by a public works employee who was snowplowing. It took several hours to find the break at 1st Avenue North and North 25th Street. Lampi said the amount of water and cold weather made it difficult to work. The break caused flooding on North Lincoln Road and as far away as 3rd Avenue North where storm sewers overflowed. 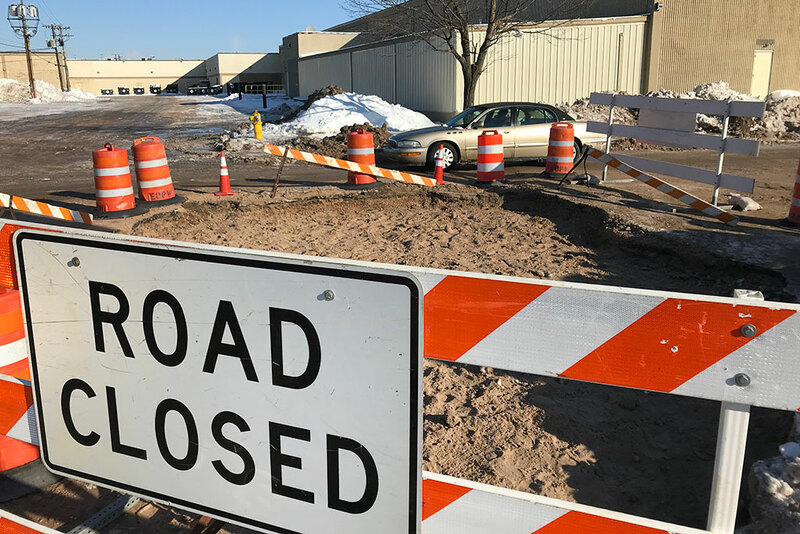 By 2:30 in the afternoon, the city removed its request to limit water use and the water tower at the civic center that rapidly lost water throughout the morning was full. North Lincoln Road and Ludington Street near the break were reopened to traffic at 3 p.m.
Jordan said it took quite a bit of effort to find and correct the break. “They had to take a torch to the valve to heat it up as they tried to turn it back and forth to turn it off. Old valves, ice and cold are not a good combination,” said Jordan. 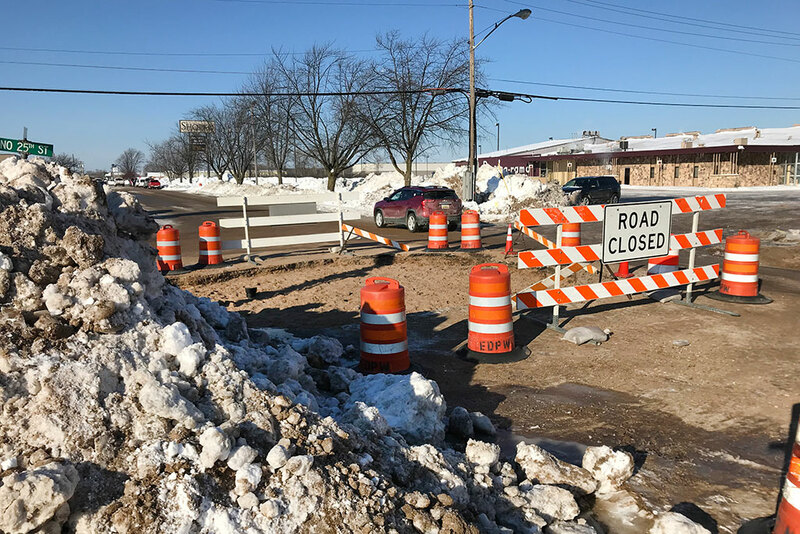 1st Avenue North from North Lincoln Road to North 26th Street remained closed yesterday but for the most part the area looked normal considering graders where scraping ice and water from the road only a few hours earlier. Share the post "City crews credited with quick response to Escanaba water main break"